I returned from San Diego last night. I hung out with the Telltale Games team for much of the day, and learned a few interesting details, but I don't know if I can safely reveal them all here. Ah, well, I am sure that this post will be modded if it contains any unwanted revelations. 1: Steve Purcell is looking to plush companies for a line of Sam & Max plush figures. He has not decided on a style yet, though, and may look to the forum community for ideas. 2: Monkey Island Case Files are a real possibility, but keep in mind that these are still early days. Who knows how busy Telltale Games will be at the time of the Monkey Island DVD release. 3: Sam & Max Season Three COULD BE coming at the end of this year. I don't remember who said this, though. I may have actually dreamed it. 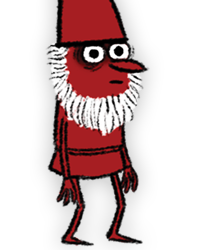 4: Strong Bad Season Two has not yet been "green lit," but given their use of that word, I get the feeling that they have been trying to work out a deal with the Chapman brothers. I will have some photos soon. I bought some pretty cool merchandise. Perhaps I will write a lengthy blog at some point, too. ZOMG I didn't see that one coming! 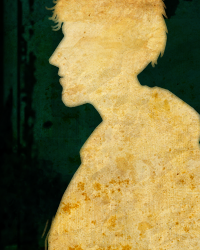 But more seriously, I really hope we get ToMI case files. And loads of other cool stuff! I can't see why LucasArts wouldn't agree with it, I mean it's a money spinner isn't it? 3: Sam & Max Season Three is coming at the end of this year. I don't remember who said this, though. I may have actually dreamed it. How would that work when Guybrush isn't a detective? Or am I misunderstanding the term? That is just a loose term to describe things. More than likely, it will not be called the "Tales of Monkey Island Case File," but that gives you a better idea of what to expect from the product. That is, if it indeed shall come to pass. All I can say is, bout time! Very busy, if they come up with a whole new series by the time it's over. I hope you didn't dream it, I've been waiting forever! I hope there's a Season 2, I will not let Videlectrix turn Strong Bad into pixels, one more time! Perhaps it's just me, but I think everyone saw it coming. 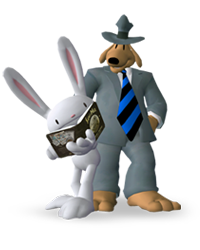 Ooh, I'd love Sam & Max plushies. Steve is so cool. PIRATE HUNTER AD FOR CHAPTER 1's ITEM PLEASE. I really, really, really hope you didn't dream it. Holy crap the entire time it was me? I put my comments in the quote as bold letters. I think they should make sam&Max bean bag plushies.